Linksys bid its time before jumping into the consumer mesh Wi-Fi router market, watching Eero, Luma, Netgear, and Google wade in with new products in 2016. Now, Linksys is making a splash at CES where it debuted its Velop Whole Home Wi-Fi system. We’ve benchmarked the heck out of a three-node system and found it to be one of the best yet. It’s also one of the most expensive, with a single router priced at $200, a two-pack at $350, and a three-pack going for $400 (a substantial discount over buying three singles). The Velop’s slightly rounded columnar form factor hews closer to Netgear’s Orbi (next on my review to-do list) than the puck-shaped devices from Eero (benchmarked, but not officially reviewed yet) and Google (Google Wi-Fi has been fully reviewed). And like the Orbi, the Velop is a tri-band router with three 2x2 radios (two uplink and two downlink) operating three independent networks on the 2.4- and 5GHz frequency bands. One of the 5GHz networks utilizes the lower channels on that band (36 and up) while the other uses the upper channels (149 and up). The router automatically steers clients to the most appropriate network, and each automatically chooses a different channel for its backhaul duties (i.e., data traveling from client devices back to the router). You can also set up one guest network. The Velop’s off-white vertical enclosure is perforated with ventilation holes on the left side, the back, and the top. With its six antennas hidden in the top of its enclosure, and its cables emerging from a cutout in one corner, the Velop looks more like a room air freshener than a router. 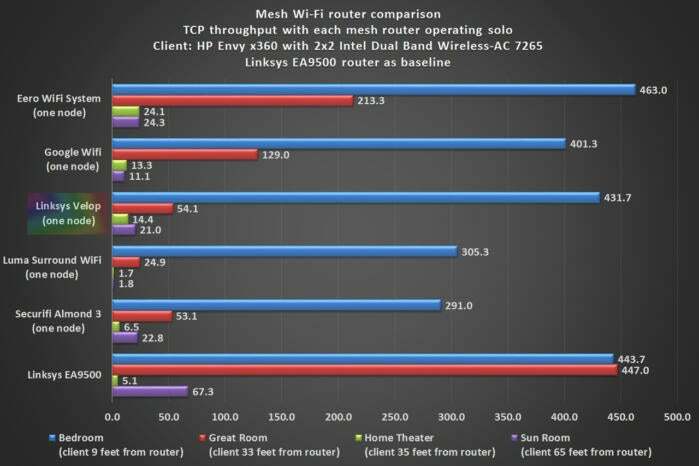 But that’s typical of mesh routers—manufacturers are doing their best to design network devices that consumers won’t object to placing out in the open. Be that as it may, everyone who buys an understated mesh router will still need to plug it into their ugly old broadband gateway. I suspect a lot of these routers will still end up in closets, but the access points might see the light of day. The Linksys Velo offers generous ventilation for its quad-core ARM CPU, 512MB of DDR3 memory, and 4GB of flash storage. Cables emerge from the notch in the corner. A single multi-color LED on top reports the Velop’s status, and there’s a silver Linksys logo printed on its solid face. Two ethernet ports and a power connection are located inside a two-inch-deep well inside the bottom of the unit. There’s an on/off switch and a reset button here as well (you won’t need to bend a paperclip to reach the latter). 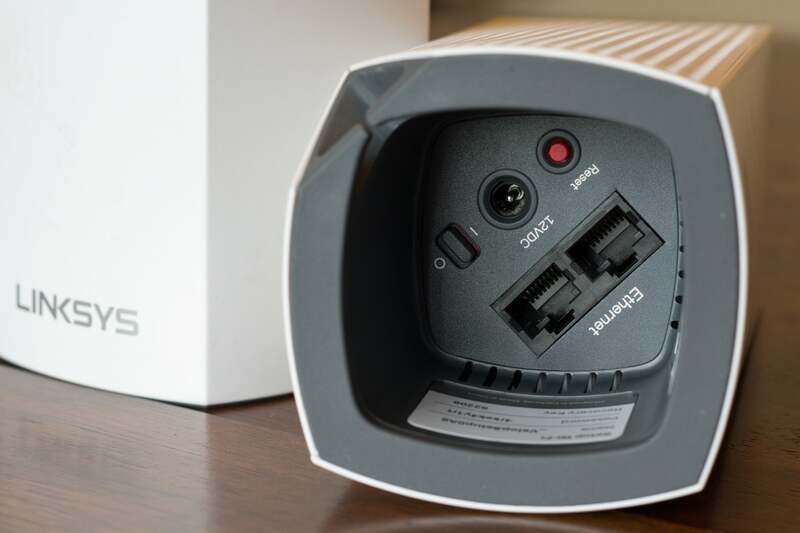 The ethernet connections automatically configure themselves for WAN or LAN duties, and each satellite Velop can also function as a wireless access point or a wireless bridge for clients that would otherwise need to be hardwired to your network. You’ll need a smartphone or tablet to set up and configure a Velop router, as there is no web client. The app (there are Android and iOS versions) pairs with the router’s Bluetooth 4.0 radio and then steps you through the rest of the process, which includes setting a Wi-Fi password for the router. As you add each node, the app automatically evaluates the strength of its connection to the next closest node and will suggest moving it closer if the connection is weak. Bluetooth discovery process took longer than we’ve experienced with other mesh routers, and Linksys tells us there’s a bug that causes the app to time out if you leave it to do something else. The wait is annoying when you’re setting up a three-node system as I did, but you only need to do it this once. Two ethernet ports (the router auto-configures these as WAN or LAN ports) are recessed inside the base of the router along with the power connector to reduce cable clutter. Linksys says the Velop will work with Amazon’s Alexa digital assistant, but that feature wasn’t ready in time for us to review. Once Amazon certifies the Velop skill, you’ll be able to use voice commands to turn its guest network on and off and request login credentials for its main and guest networks. We’d also like to see support for prioritizing client devices with voice commands—you can select up to three devices for bandwidth priority if your internet connection is constrained. (As it stands, you’ll need the app to perform these tasks yourself.) The Velop app also has basic parental controls. If you live in a smaller home or an apartment, you might be able to get away with a single Velop. When the client PC was in the same room as the router, nine feet away and without any walls between the two, it delivered TCP throughput of 431.7 megabits per second. That’s almost as fast as the conventional router I compared it to (a Linksys EA9500, which managed 443.7 Mbps), and it’s faster than a Google Wifi (401.3Mbps). But the Eero WiFi System was faster than all three, scoring 463Mbps. The EA9500 delivered the best performance when the client was further away, in my great room. 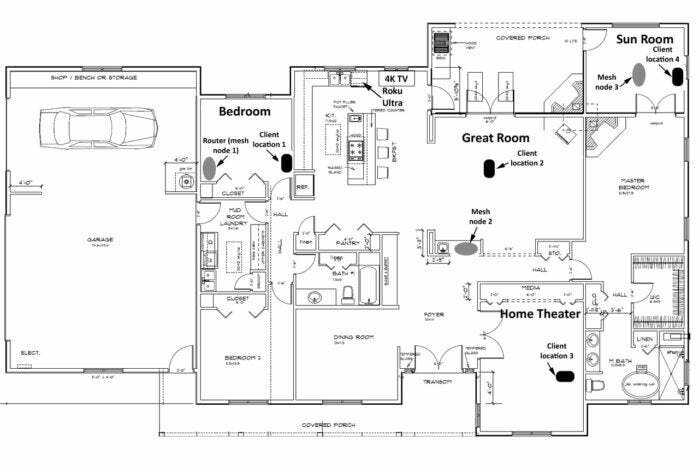 That puts the client 33 feet from the router, with a wall, plywood cabinets, and several kitchen appliances in the signal path (a refrigerator, double wall oven, island-countertop range, and a ceiling-hung ventilation hood). The Eero and the Google Wifi were the highest-performing mesh routers at this location (while operating with one node each, that is). One Velop node wouldn’t be sufficient for my 2,800-square-foot home; then again, none of the single Wi-Fi routers I’ve tested can sufficiently penetrate my well-insulated home theater—at least not wirelessly. Adding a second Velop node was enough to blanket my entire home with Wi-Fi coverage, including the home theater. The Velop delivered impressive throughput of 145Mbps there and 128.7Mbps in the sun room, which is 65 feet from the router with three insulated interior walls and two fireplaces in the signal path. Adding a third node was overkill for my space. Performance at three locations increased, but I saw lower throughput in my home theater for some reason. If adding a third node increased the hops the packets had to make, I would have thought it would impact all four test locations. 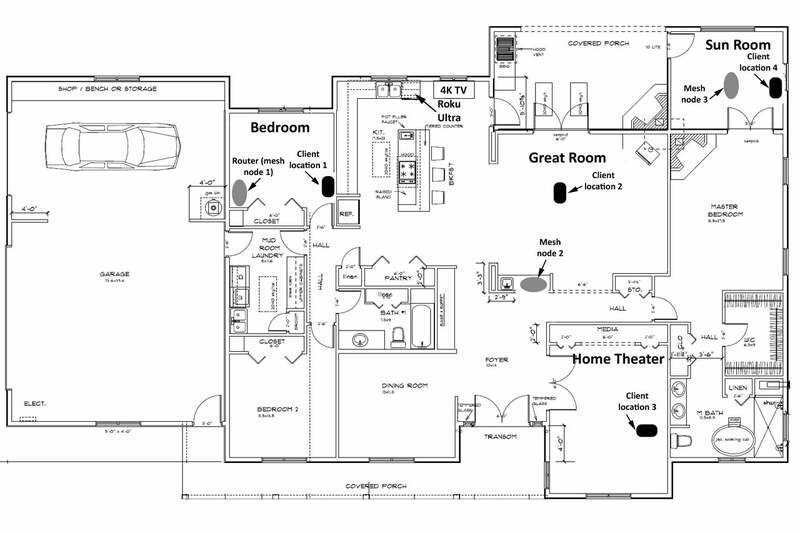 If I lived in a large multi-story home, on the other hand, I think I would spring for that third node anyway. Buying a two-pack and adding the third later would cost $50 more than buying a three-pack to begin with. As you can see from the chart below, performance at close range declined as I added nodes, but throughput went up at each of the further test locations (with the notable exception of the home theater). The tradeoff for having a wireless access point closer to each client is having the packets make additional hops to and from the router. The turquoise-shaded bars show the Linksys Velop router’s performance. 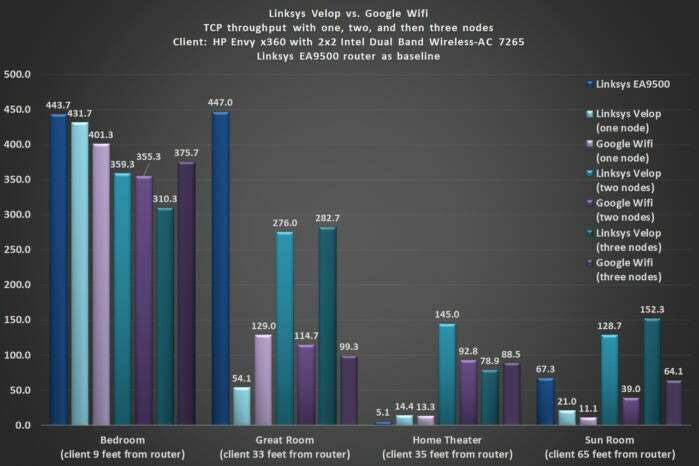 The purple-shaded bars represent the Google Wifi.The deep blue bar tracks the performance of the conventional Linksys EA9500. The chart above compares the baseline Linksys EA9500 to the Linksys Velop and Google Wifi with one, two, and then three nodes deployed. None of the mesh routers delivered fantastic range when deployed solo, but adding nodes almost always paid dividends. 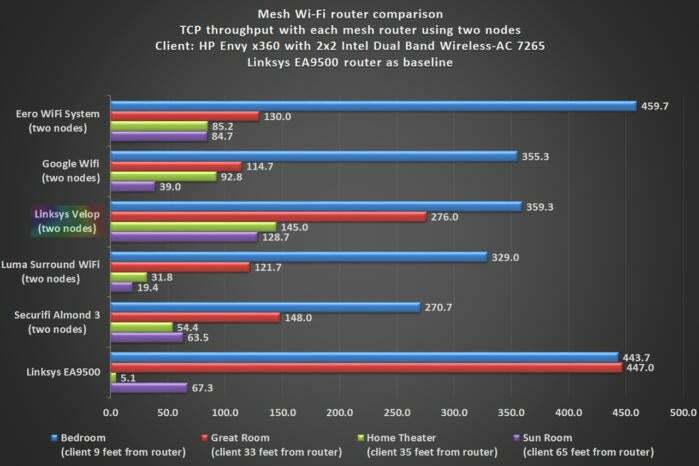 Adding a range extender might help the EA9500, but a range extender can significantly reduce overall throughput because a chunk of the router’s bandwidth is used for backhaul. That doesn’t happen with mesh networks, and adding Velop nodes significantly increased throughput compared to Google’s product, as you can see in the chart above. 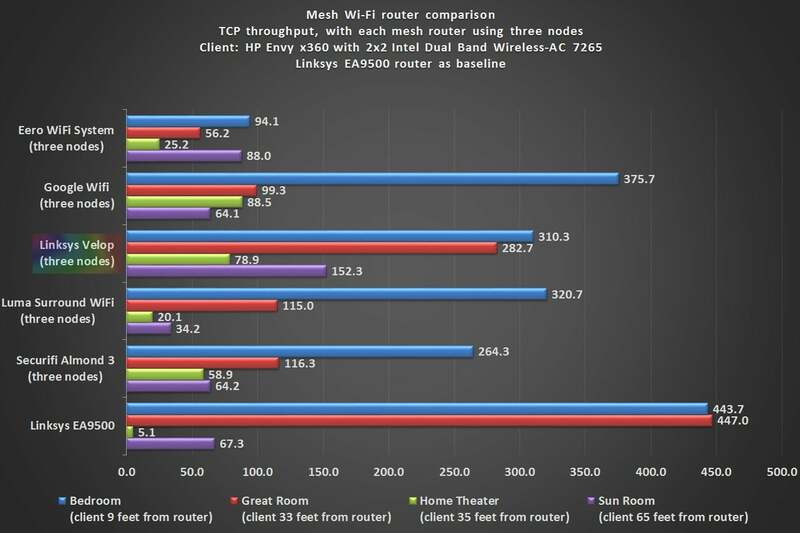 My final performance chart shows how the Linksys Velop performs under pressure. 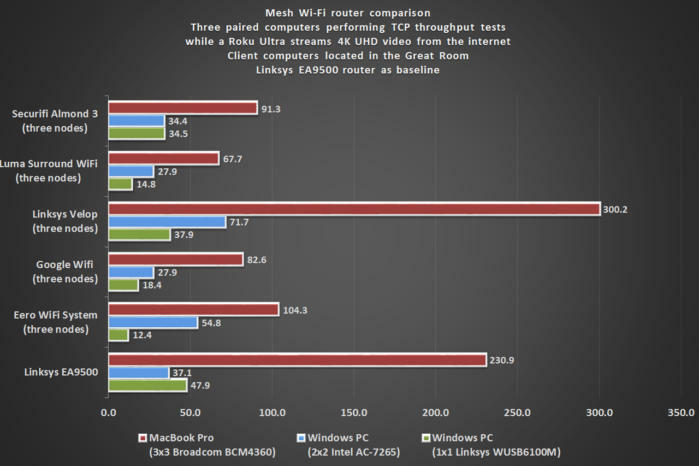 For this test, I run wireless TCP-throughput benchmarks on three pairs of computers (four Windows machines and two MacOS computers) placed 33 feet from the router while simultaneously streaming 4K video from a Roku Ultra streaming box that’s wirelessly connected to the network (with three active nodes). The Velop crushed the competition on this one, including its cousin, the Linksys EA9500. It was more than twice as fast than some of the other routers. Notice how much higher the MacBook Pro’s numbers are compared to the Windows machines? That’s attributable to Apple’s choice of a 3x3 Broadcom Wi-Fi adapter. The vast majority of Windows laptops, including the HP Envy x360 I used, have 2x2 Wi-Fi adapters. I plugged a Linksys WUSB6100M USB Wi-Fi adapter into the second Windows laptop, which is an older machine with an 802.11n adapter onboard. While the WUSB6100M is only a 1x1 part, it offers native support for MU-MIMO. 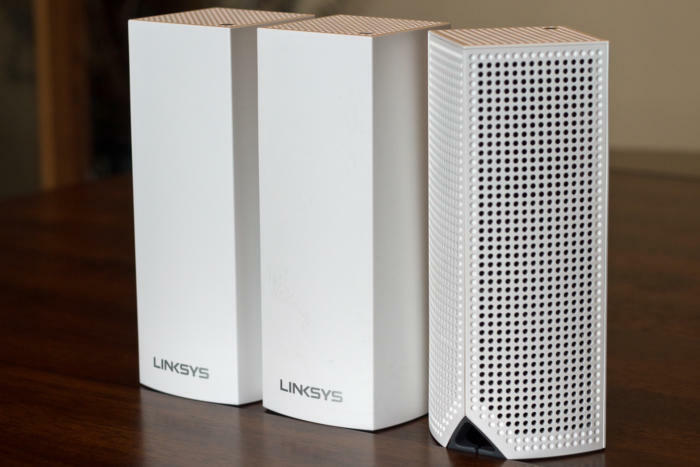 Is the Linksys Velop right for you? 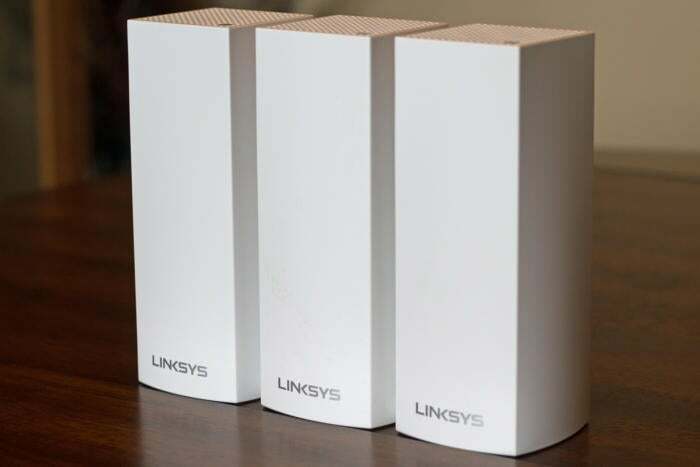 The Linksys Velop is one of the best mesh networks we’ve tested so far. It offers a strong collection of features, very good performance, and comes with a three-year warranty with 24/7 tech support. Eero’s comparably priced system delivers higher throughput at close range, but you don’t gain nearly as much throughput with additional nodes compared to what Linksys delivers. The Velop is also the only one of the three routers to support MU-MIMO right out of the box. While there aren’t a lot of MU-MIMO client devices on the market right now, you won’t have to wait for a firmware update if you own one. Linksys is taking pre-orders now and expects to ship the new router on January 15.